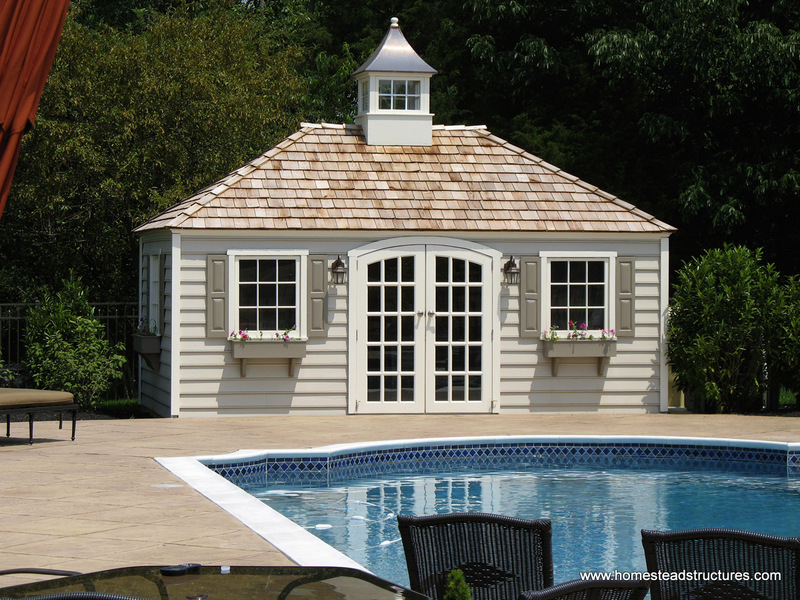 A proven classic, the Homestead Pool Shed blends the convenience of storage and functionality while creating a truly beautiful addition to your pool in traditional A Frame or Hip Roof style. Taking care of a pool is a lot of work and come with a lot of equipment! 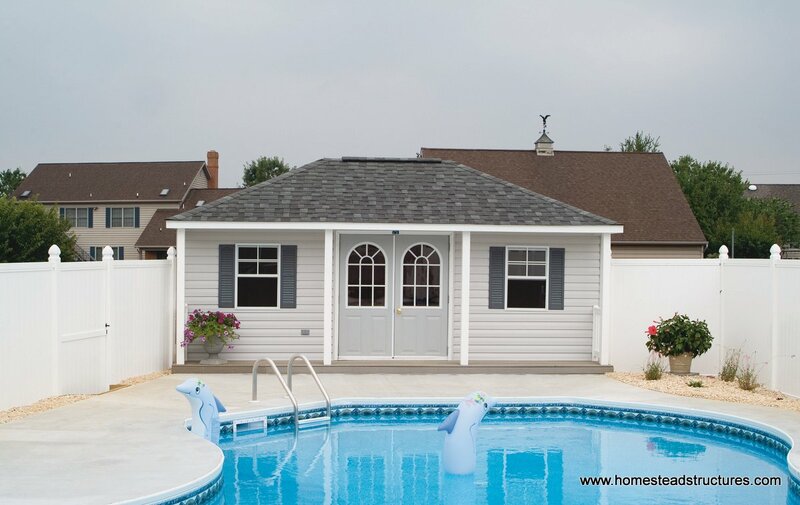 A small pool storage shed to store the pool pump and filter, the cleaning equipment, and floats and pool toys can help tidy your pool area and make it a more comfortable place to host family and friends. 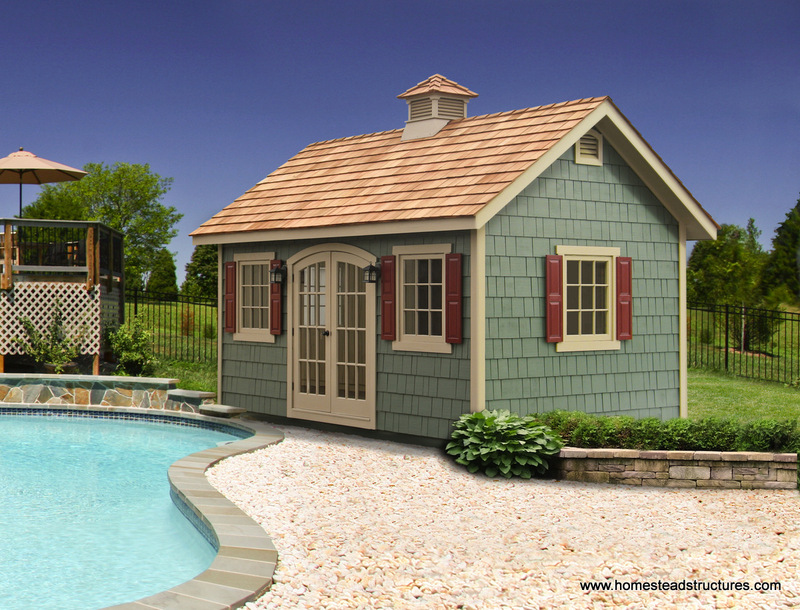 Choose some of our larger, more custom pool sheds and have room for storage, changing, and even a bathroom! The convenience of an poolside shed will have you looking at your backyard space in a whole new light! You can choose from standard shed styles or browse through our Pool Shed Album and our Pool House Options Page for more ideas. 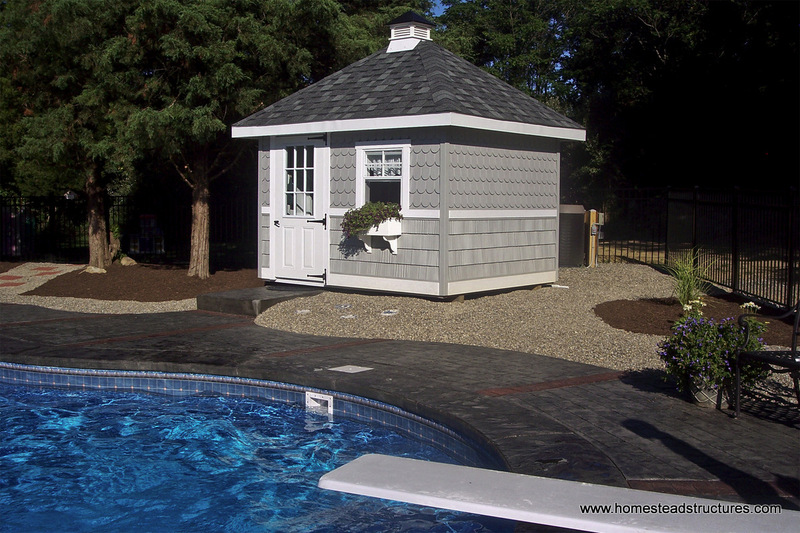 Our goal is to customize a poolshed exactly to your needs and wants! Our in-house design team will work with you on all the features and options, help you determine the right size, and can even create a 3D rendering of your pool shed so you can see exactly what your customized pool shed will look like!